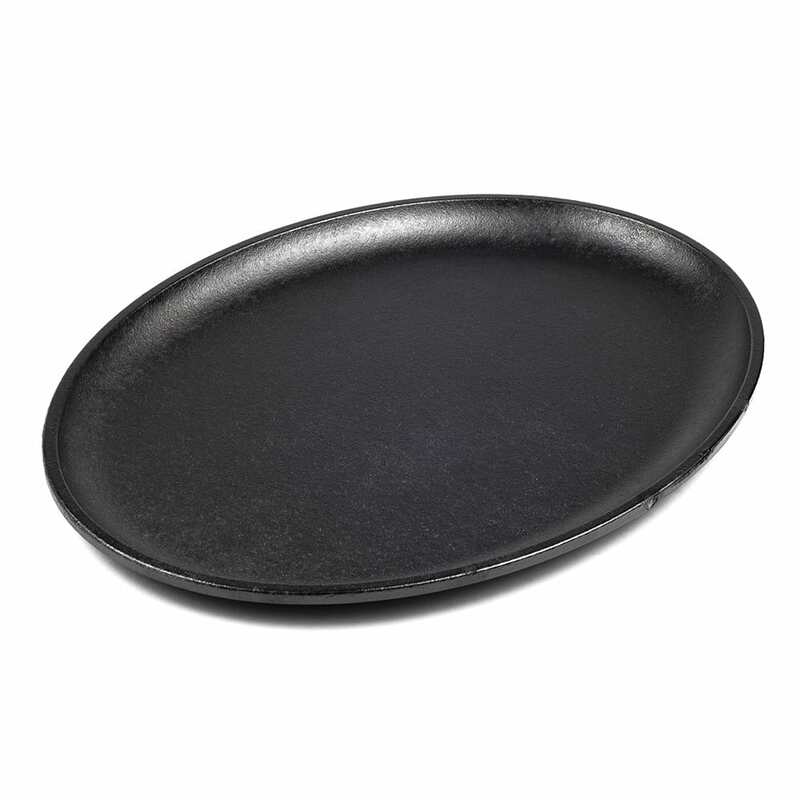 Lodge LJOSH3 Jumbo Oval Cast Iron Serving Griddle, 13x10"
Jumbo Oval Cast Iron Serving Griddle, 13x10"
Great for fajitas and rice dishes, the Lodge LJOSH3 cast iron serving griddle maintains the temperature of food while it is being served. This material retains heat for long periods of time, though it can take longer than others to heat up. It can be used with stovetops, griddles, and ovens, and users should hand wash and dry the oval griddle immediately after use. To maintain the seasoning on the material, a light coat of vegetable oil should be applied after each wash to protect from moisture damage. Lodge Logic Serving Griddle, 13"L x 10"W, jumbo, oval, without handle, cast iron (hand wash only - do not use dishwasher). Underliner not included.